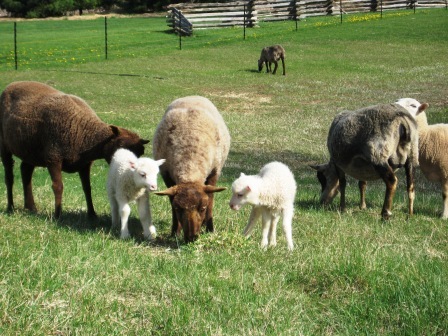 …da da dam…Reese’s Pieces [aka ‘Reese’] is my first Shetland to lamb this Spring! 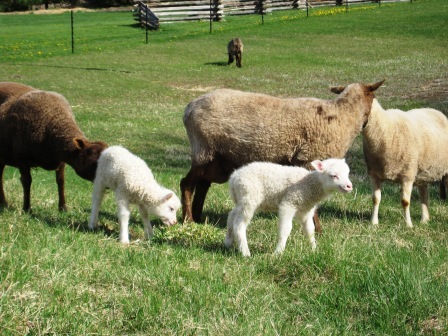 Reese’s twin ram lambs arrived Wednesday, May 1st [in the wake of all the chaos with my milking doe, Cassie]. He giveth and He taketh. That’s Reese in the middle with her new twin white ram lambs; prego Serendipity [aka ‘Sara’] on the left, and a very rotund prego Belladonna [aka ‘Bella’] on the right! I just love those babies! !